All new swimwear made with comfort in mind! 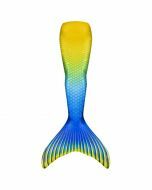 This yellow bikini bottom is bright as the sun and coordinates flawlessly with many of our mermaid tails including Serena’s Rainbow Reef, Destiny’s Tropical Sunrise, and our Limited Edition Bali Breeze design! Pair this bottom with one of our Mermaiden tops or solid yellow tops for a perfect set. 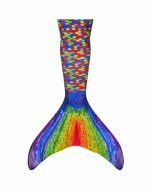 Check out our incredible selection of mermaid scale tops and solid color tops to find the perfect one for you! If you’re looking for the perfect sunny yellow swim bottom, look no further than Fin Fun’s classic Yellow Bikini Bottom! Our bikini bottoms are extremely comfortable thanks to our high quality four-way swimsuit fabric that is resistant to chlorine fading. Plus, this bikini bottom coordinates perfectly with our classic yellow tops for a perfect swimsuit set. 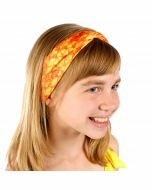 Or, pair with our Tropical Sunrise or Rainbow Reef Swim Tops for a complete set.